The staff are really friendly and helpful. The location is perfect. The view of the Maas River is amazing. I'll definitely come back. The location, the bedrooms are good. There is a good common area with a nice view and some games to play or movie to watch. It is very close to the city center. Clean and friendly. Great location. Good options for daily parking. Clean, was quiet, right next go river and cheap parking. Free WiFi worked well. Location was perfect! Family room with the lake view was very nice! It was clean, the staff was very friendly & helpful. Everything met my expectations & I’d definitely recommend it to anyone who wants a comfortable, safe stay in Maastricht. 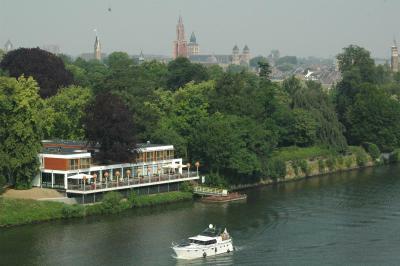 Stayokay Hostel Maastricht is located on the banks of the Maas River, just a 5-minute walk from the city center of Maastricht. The large terrace provides a view on the water. Free WiFi access throughout the entire hostel is available. After a busy day, you can play pool, relax in the reading area or take a walk in the park next door. StayOkay Maastricht hosts Salsa parties on Fridays. Guests can enjoy breakfast at the property for a surcharge and also packed lunch service is available for a surcharge. The hostel offers separate beds in a dorm and double rooms for more privacy and with private facilities. Some rooms have river views. Both Maastricht Central Station and the Onze Lieve Vrouweplein are within walking distance of Stayokay Maastricht. Jekerkwartier is a great choice for travelers interested in walking, sightseeing and culture. 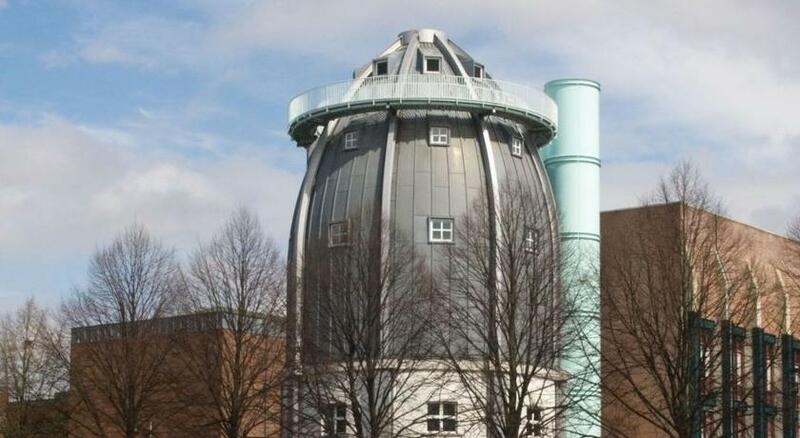 This is our guests' favorite part of Maastricht, according to independent reviews. 뀐 Located in the top-rated area in Maastricht, this property has an excellent location score of 8.9! When would you like to stay at Stayokay Maastricht? A basic room with bunk beds or twin bed. Public parking is available at a location nearby (reservation is not possible) and costs EUR 6.60 per day. It comes with bunk beds. A bunk bed in a dormitory room with private bathroom. A bunk bed in a dormitory room with a private bathroom. 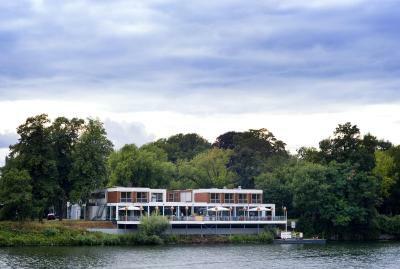 Stayokay Maastricht is located in a beautiful spot along the banks of the Maas River, with the charming Onze-Lieve-Vrouweplein within walking distance. The hostel has a trendy interior. On our beautiful terrace along the Maas River, you can enjoy a cup of coffee with vlaai from Limburg or a lovely barbecue. Our hostel is the perfect starting point for a day of endless shopping in Maastricht’s historical city centre. Past and present alternate – in architecture, but also in art and culture. Make sure to also visit the popular salsa evenings on Fridays. Area Info – This neighborhood is a great choice for travelers interested in walking, sightseeing and culture – Check location Great location - show map Guests loved walking around the neighborhood! House Rules Stayokay Maastricht takes special requests – add in the next step! All older children or adults are charged EUR 23 per person per night for extra beds. ATM card Stayokay Maastricht accepts these cards and reserves the right to temporarily hold an amount prior to arrival. Stayokay Maastricht accepts these cards and reserves the right to temporarily hold an amount prior to arrival. Please note that all guests must show a valid passport/ identity card/ drivers license at check in. Please note when booking a Double/Twin Room, it is possible that you will be staying in a 4 to 6 bed dorm. The remaining (bunk) beds will not be available for other guests. Please note that the beds are not made, but bed linen will be provided and guests are required to make their own bed upon arrival. Towels are available at a surcharge. Electrical outlets are available for guests to plug in their own notebook or smart phone. Guests are requested to inform the property when children are coming along. When traveling with children younger than 13 years old, it is required to book a private room. Please inform Stayokay about your travel companions. This can be added in the Special Request box while making the reservation. Due to the Friday Night Salsa Parties that will last until 01:30, guests may experience some noise disturbance. More quiet rooms are available upon request. - Please note that the full amount has to be paid minimum 1 month prior to arrival. Stayokay will contact the main booker directly with payment details. Groups will be exempt from any charge if cancelations amounting to more than 10% of the booking up to the entire booking are made at least 61 days prior to arrival. Groups will be charged 50% of the total reservation value if cancelations amounting to more than 10% of the booking up to the entire booking are made 41 to 60 days prior to arrival. Groups will be charged 75% of the total reservation value if cancelations amounting to more than 10% of the booking up to the entire booking are made 22 to 40 days prior to arrival. Groups will be charged 90% of the total reservation value if cancelations amounting to more than 10% of the booking up to the entire booking are made 8 to 21 days prior to arrival. Groups will be charged 100% of the total reservation value if cancelations of the entire booking are made 7 or fewer days prior to arrival. The fact that the first room smelled terrible. You would expect that they clean the bathroom with soap after every visit, but it didn’t smell that way. We had a room with a terrible smell. After reporting to the staff, they gave us a new room and helped as best as they could. Breakfast was good. Excellent location. No soya milk in breakfast, I know they (almost) always have it, but not my day. The location is amazing. Located by the river and at the same time very close to the city centre. 10 min walking time to the centre. Clean rooms, nice bar. The location, the ambience and the bar/restaurant are all good. Thin walls all around and loud people in the next rooms (on both sides) are a bad combination. You can also feel the shaking of the room whenever someone gets out of bed anywhere on the level. The free earplugs from the reception should not be declined on check-in. Mattresses are very soft. the staff was really good, the room was awesome and clean, the beds are a little bit small, but we literally love it! At my first night, there was a drunk and stinky guy staying in my dorm who seemed to have not taken a shower for several days. A couple in my room informed the reception that they wanted to change to another room because they couldn’t stand for this guy. The staff came to the room and said there was no any spare room, so they would offer free breakfast for the couple as apology. I was also there when they were discussing about this problem, but the staff just ignored me. Although I didn’t complain, it was very obvious that the guy annoyed everyone in my room cuz the staff themselves also found it so stinky when they came inside the room. I don’t think the hostel has to provide free breakfast, but I think the staff should at least be active to say sorry to everyone in my dorm rather than just ignoring those who didn’t complain. Also, I hope the hostel can figure out some way or regulate a policy to deal with this kind of problem. Fortunately, the stinky guy was not there anymore on my second night. The staff at the reception on the overnight shift on my second night is very nice and warm! The park nearby is really beautiful! Even though it takes about 20 mins walk from the train station, the view on the way to the hostel is very nice, especially the view on the bridge, and the route is also easy to find and remember.